Joshua is an associate in our international arbitration group and public international law practice in London. Joshua represents clients in commercial, investor-state and inter-State arbitrations, as well as in arbitration-related litigation. His industry experience includes the mining, oil and gas, finance, telecoms, defence, and construction sectors, including on behalf of States and State-owned entities. He regularly advises on issues of investment protection, sanctions, immunities, anti-corruption laws, foreign torts and human rights. 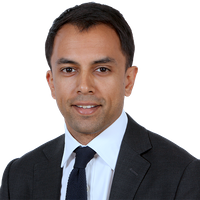 Prior to joining Freshfields, Joshua worked as a government lawyer in Australia providing legal advice to senior government officials on issues of international law and public law. China goes global – what is the Belt and Road Initiative?